Those considering the more performance-oriented models should opt for the Porsche Active Suspension Management (PASM) air suspension, which counters both body lean and harsh ride quality. The 2017 Porsche Cayenne is versatile and roomy, yet it possesses road and even track performance to satisfy enthusiasts. The 2017 Cayenne brings the attitude, and many of the visual cues, of Porsche's sports cars to a very family-friendly, sport-utility format. 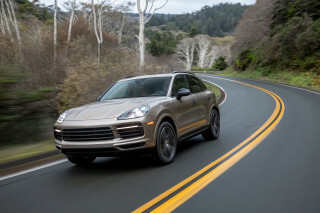 The lineup is varied, with the naturally aspirated base model, the turbocharged S, the S E-Hybrid plug-in, the amped up GTS, the incredibly powerful Turbo, and the even loonier Turbo S.
With the addition of the Macan for 2015, Porsche now builds more sport-utility vehicles than it does sports cars. While a handful of Porsche purists may still begrudge the existence of Porsche crossovers, most will concede that the Cayenne and Macan have become benefactors of the lineup—creating a budget that helps keep 911s, Boxsters and Caymans afloat, not to mention the numerous special edition Porsche sports cars. 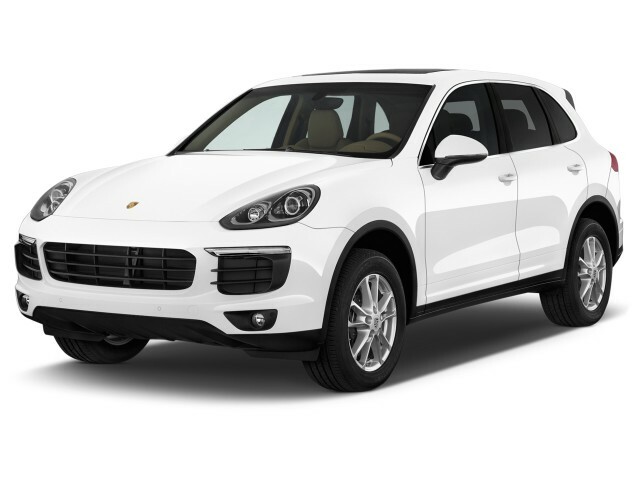 The Cayenne is a sleek, modern utility vehicle at the core, but it manages to crib just a few of the 911's curves. There's very little rugged about this design—even though it's still deft off-pavement. The cockpit is coupe-like cockpit up front, with curved surfaces, upscale materials, and even an analog clock. Put aside any preconceptions of what the brand should or shouldn't be, and you'll find the Cayenne stands perfectly well on its own, as a highly practical family vehicle that also provides much of the driving personality of lower, leaner two-seat Porsche models. And over more than a decade, the Cayenne lineup has expanded to include a diesel (now gone), a plug-in hybrid, and various gasoline models—mostly turbocharged. The base engine is not turbocharged. 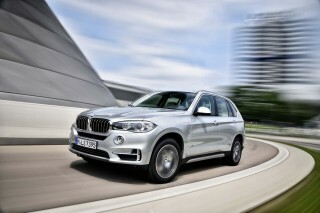 Its 300-horsepower 3.6-liter V-6 is capable of getting this SUV to 60 mph in less than 8 seconds. Is it a Porsche? You decide. The other engines deliver plenty of power. The Cayenne S is rated at 420 horsepower from a twin-turbo 3.6-liter V-6. The Cayenne GTS raises the output from the twin-turbo V-6 to 440 hp and 445 lb-ft. Porsche says this model can rocket from 62 mph from rest in as little as 5.1 seconds and reach a top speed of 162 mph. The Cayenne S E-Hybrid, with plug-in capability, is good for 416 hp from its combination of an electric motor and a supercharged 3.0-liter V-6. A pair of Turbo models are offered. The Cayenne Turbo makes 520 hp from its twin-turbocharged 4.8-liter V-8 and the Turbo S produces 570 hp from a hotter version of the same engine. For the Turbo, the key stats are a 4.1-second 0-60-mph time with launch control engaged, and a top speed of 173 mph. In base V-6 configuration, the Cayenne manages 18 mpg city, 24 highway, 20 combined. With the Cayenne S, the ratings are 17/24/20 mpg. The S E-Hybrid gets 22 mpg combined and 46 MPGe thanks to 14 miles of all-electric range. Across the lineup, seating is comfortable and supportive, and the materials and fit and finish are all top-notch. Ride quality can be a bit stiff, however, particularly in the sportier models. The Porsche Adaptive Suspension Management air-suspension system is a recommended option, as it improves handling while also allowing the driver to dial in better ride quality most of the time. Each of the current flavors of the Cayenne (all spicy, right?) offer its own set of design and features as part of the package, wrapping its five-passenger interior in slightly different trims, though each offers an almost impossibly multi-faceted list of upgrades and customization. For 2017, all Cayennes get the latest version of the Porsche Communication Management infotainment system. It comes with a 7.0-inch touchscreen, navigation, and voice activation. It can also respond to handwritten inputs and the navigation system offers real-time traffic info and integration of Google Earth and Google Streetview. Also new this year is a Platinum Edition package for the base and S E-Hybrid models. Go with the base model, and there's really no sacrifice in features versus a BMW or Mercedes-Benz product in the same price range. Navigation, Bluetooth, iPod/USB connectivity, and more are all standard. In addition to its potent engine, the Cayenne GTS benefits from a sports exhaust system, performance-tuned air suspension and dampers (the ride height is 20 millimeters lower than in regular Cayenne models), brakes borrowed from the Cayenne Turbo, and a front bumper with enlarged intakes also borrowed from the Cayenne Turbo. A panoramic sunroof, and a heated windshield are among many, many options. Sound systems include Bose or audiophile-grade Burmester sound systems, and your budget is really the limit on a wide range of upholstery, trim, paint, and wheel upgrades. With options, the Cayenne can easily top $150,000. The Cayenne manages to crib some of the 911's curves while maintaining a traditional crossover shape. The Cayenne may have been a rolling contradiction a decade ago, but it fits right into today's market remarkably well—and stands with Porsche's stunning sports-car designs as a solid design inspiration. Today the 2017 Cayenne is a sleek, modern utility-vehicle at the core, but its silhouette manages to crib just a few of the 911's curves and details. There's very little rugged about this design—even though it's still deft off-pavement. Up front, it features the quad-element headlight design seen on the rest of the lineup. In back, there's only a gentle hat-tip to Porsche's sports cars, with subtle hatch spoilers and an upright-yet-aerodynamic look. Because of its size and necessary shape, however, the overall look is far cry from the design of Porsche's legendary sports cars, like the iconic 911. The hood is a bit longer than on some other crossover models. Visuals help set apart the different Cayenne models—some subtle, others not so much. The S E-Hybrid has the neon-green trim that is now standard for Porsche's electrified fleet, coating the brake calipers and badging in the hard-to-miss hue. The Turbos are trimmed in the most aggressive fascias and trims. Inside, the Cayenne has a coupe-like cockpit up front, with curved surfaces, upscale materials, and even an analog clock. 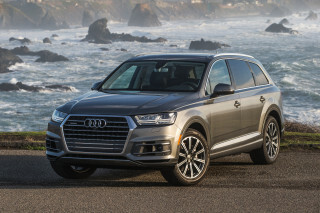 It's not typical for today's SUVs, and fits in with the rest of the Porsche lineup. The cabin is characterized by a sweeping instrument-panel arrangement, with sculpted vertical vents, a sloped center console, and upscale materials—borrowing here and there from the stunning, swoopy four-door Panamera. Matte-metallic brightwork cheers it up from the appointments. A spine of buttons runs along the center console to adjust whatever is adjustable on that particular model. The new 7.0-inch center touchscreen absorbs some of the navigation and infotainment controls. Excellent ride quality and sport sedan moves make the Cayenne a pleasure to drive. In any of the 2017 Cayenne models, compared to virtually any other tall utility, handling is exemplary. 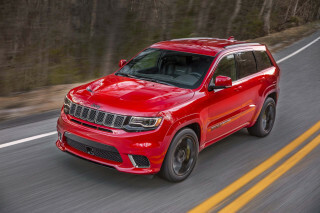 Plus, you get excellent steering feel (relative to other SUVs), surprisingly little body roll, and immense cornering traction—especially from the huge wheels and tires that you get in the Cayenne S, Cayenne Turbo, and Turbo S versions. Ride quality is excellent when you opt for the air-suspension system and PDCC. With them, the suspension can adapt to driving conditions or driving style, and you can dial in Comfort, Normal, and Sport modes, which affect the suspension and powertrain responses together. The base engine is a 3.6-liter V-6 that puts out 300 horsepower. It is the only engine in the lineup that may not live up to the performance expectations of the enthusiasts who buy Porsche sports cars. For those people, it starts with the Cayenne S, which has a twin-turbo 3.6-liter V-6. It spins out 420 hp and 406 lb-ft of torque, good for a 0-60 time of 5.1 seconds, or 5.2 without launch control. The Cayenne S E-Hybrid, which sports plug-in capability, is good for 416 hp and 435 lb-ft of torque from its combination of an electric motor and a supercharged 3.0-liter V-6. The 60-mph mark comes up in 5.4 seconds, and the E-Hybrid is able to run electric-only at speeds up to 78 mph. The previous Cayenne S Hybrid was not a plug-in. The Cayenne Turbo makes 520 hp from its twin-turbocharged 4.8-liter V-8. It rockets to 60 mph, taking just 4.1 seconds to hit that speed when launch control is employed. Beyond that, there's the Turbo S, which ups the output to 570 hp and 590 lb-ft, with pretty much all the dynamic aids and chassis systems that are available on the other models included as standard. Among those are a brake-based Torque Vectoring Plus system that helps get all that power to the pavement. This works in conjunction with an electronically controlled differential lock offered with the Porsche’s Sport Chrono package, which comes standard on the latest addition to the automaker's lineup. The impressive Porsche Active Suspension Management damping control and air suspension smooth out the ride and can firm up when things get fun, while Porsche Dynamic Chassis Control (PDCC) further helps to reduce roll while cornering via hydraulically operated roll bars. You might also be wondering about off-road ability, which remains the cornerstone of utility vehicles. The 2017 Cayenne hasn't completely abandoned it, but there's no dual-range transfer case available like in Range Rovers. Making up for that is an electronic Porsche Traction Management (PTM) system, which offers modes for loose sand/snow, wet surfaces and mud, or rocky terrain. In complex ways, PTM helps you out no matter what the situation, so unless you're looking for serious wheel articulation and bouldering capability, the Cayenne probably has plenty of ruggedness for the need. It's a bit tighter than its size suggests, but the 2017 Porsche Cayenne's cabin is plush and comfortable for up to five. Porsche remains a sports-car maker by reputation, but in reality it's as much, if not more, a luxury brand. And the Cayenne remains one of the brand's better luxury showcases—even though in any of its higher-performance forms it's no slouch. 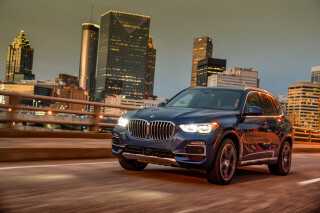 Throughout the Cayenne's cabin you'll find materials, fit, and finish that are up to par with what's offered in rival Mercedes-Benz, Infiniti, and Lexus models. 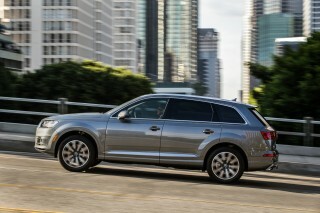 About the only issue some might find is that the Cayenne sacrifices some cargo space to prioritize the passenger space. Porsche's button-focused control scheme might seem busy at first, but we wager you'll warm up to it, as it escapes the complexity of screen-based, joystick-controlled systems like BMW's iDrive and Audi's MMI. You can tell if a function is activated with a glance at its physical button, instead of having to dig through menus, which can be time-consuming and distracting. For 2017, it adds a center touchscreen that handles some of the controls, but it also keeps many of the buttons. We haven't tested it yet, and we feel that it's not quite as well integrated as other systems. However, we will report back when we get time behind the wheel. Hop inside, and you'll find supportive, comfortable sport seats up front. Drivers of all sizes should be able to get well-positioned, with decent visibility and a window line that isn't too high. Porsche offers several front-seat upgrades including more adjustability and ventilation. Rear passengers are able to slide their bench fore and aft, more than 6 inches if you're willing to give up some cargo space; and the rear seatback angle adjusts. The seating surfaces can also be upgraded with leather as well as Alcantara inserts. If folding down the back seats and hauling larger pieces of cargo are part of your normal routine, you might want to double-check the space available in the Cayenne. The rear seat backs don't fold completely flat, which limits the usefulness of the cargo space. 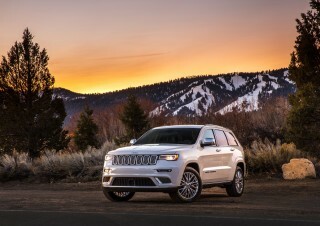 The cabin can feel just a bit smaller than you might expect from the exterior dimensions—in part due to the sloping rear hatch—but as long as you're not trying to fit a third person in back it's generally a happy place. Hybrids tend to give up some cargo space, typically, but that isn't the case here as Porsche has packaged the battery down below, where the spare tire would otherwise go. Don't expect the Cayenne to be crash tested, but take heart that it does offer an abundance of advanced safety features. The 2017 Porsche Cayenne is a stout, well-constructed SUV with a full suite of safety features. Yet, it hasn't been crash-tested by either of the U.S. agencies due to its relatively low sales and its high price tag. That said, there are plenty of assurances—including a solid set of safety features—that this model is fully up to snuff on safety, security, and occupant protection. Pay a little more and you can get active-safety options such as adaptive cruise control with forward collision warning, lane departure warnings, active lane control, and dynamic lighting. An optional surround-view camera system uses four cameras, one on each side, to stitch together what looks like an overhead view, for maneuvering in tight spaces. The adaptive cruise control can maintain following distances at speeds between 20 and 100 mph, and it will prime the braking system when needed and even stop completely in traffic. A quick press of the accelerator will reactivate the system. It is packaged with Porsche Active Safe, which monitors traffic ahead even when active cruise is switched off and will warn the driver and help slow the vehicle in the event of an impending collision. Out on the trail, hill-descent control and speed-set control help keep it safe and slow—pretty much the opposite of on the road, where the electronics allow you to go faster, safer. High prices bring a solid set of standard features, and buyers can spec out their Cayennes to the hilt, but pricing gets out of control when they do. All 2017 Porsche Cayennes receive the latest version of the Porsche Communication Management infotainment system. It comes with a 7.0-inch touchscreen, navigation, and voice activation. It can also respond to handwritten inputs and the navigation system offers real-time traffic info and integration of Google Earth and Google Streetview. Also available for the 2017 Cayenne is the Porsche Connect Plus package that enables smartphone integration via Apple CarPlay. The model lineup consists of base, S, GTS, S E-Hybrid, Turbo, and Turbo S models. Standard features on all Cayennes include HD radio, a power tailgate, a multi-function sport steering wheel with shift paddles lifted from the 918 Spyder, stainless steel door sills, and an audio interface with USB and auxiliary inputs. 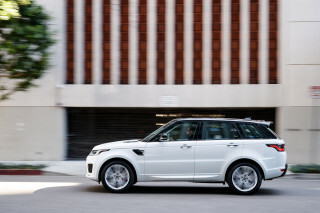 Available options, some of which are standard on higher end models, include ParkAssist with front and rear sensors and a surround-view camera system, a sunroof, a dual-screen rear-seat entertainment system, and both Bose and Burmester audio systems. The Burmester in particular is an auditory feast. A new Platinum Edition is offered for the base and S E-Hybrid models, adding about $6,000 to each. It adds 20-inch RS Spyder-style wheels, flared wheel arches, and gloss black exterior accents. Interior additions include 8-way adjustable sport seats with leather and Alcantara trim and Porsche logos on the headrests, and stainless steel treadplates with a “Platinum Edition” inscription. 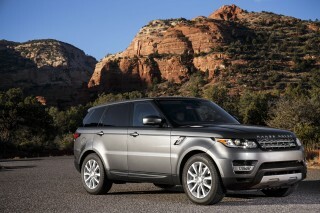 ParkAssist, tinted windows, anti-glare mirrors, and speed-sensitive steering are also included. Perhaps one of the most coveted options, the Sport Chrono package brings with it launch control programming for the 8-speed automatic transmission. The package adds an analog and digital timer located at the center of the dash. It keeps the driver updated with information such as the total driving time, lap distance covered so far and individual lap times. It can show latitudinal and longitudinal acceleration via the instrument-cluster display. Launch control is not available on the S E-Hybrid model, as it uses a slightly different version of the transmission. Fuel economy isn't as poor as you'd expect and green-minded buyers can choose the plug-in hybrid. The most efficient Cayenne is the S E-Hybrid. It is rated for 14 miles of electric-only range and has a 46 MPGe rating, which blends the electric, hybrid, and gas-only capabilities. It also gets 22 mpg in the combined EPA cycle. In the base V-6 configuration, the Cayenne manages 18 mpg city, 24 highway, 20 combined. The Cayenne S, with is twin-turbo V-6 engine, is rated at 17/24/20 mpg, and the mid-range GTS manages 16/23/19 mpg. Both Turbo models are equally thirsty at 14/21/17 mpg. When it was on sale, the Cayenne Diesel was the most fuel-efficient model in the range. In November 2015, Porsche admitted that the 3.0-liter diesel engine in the Cayenne Diesel illegally cheated through emissions tests and the automaker pulled that model from sale in the U.S. as part of the larger Volkswagen Group diesel scandal.